Warwick Bar Summer Fete – Tomorrow! 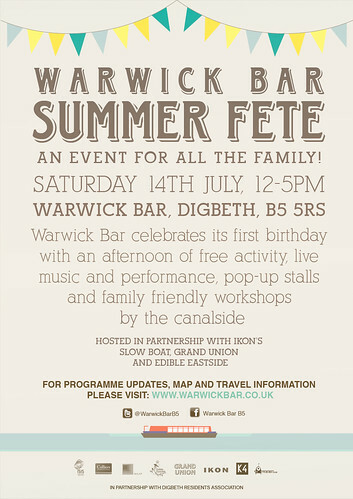 Just a reminder that Warwick Bar‘s Summer Fete is taking place tomorrow afternoon! To mark their first year of activities, come and enjoy a free afternoon of arts, music and performance at Warwick Bar, whilst indulging in freshly cooked locally produced food and enjoying plenty of waterside entertainment. Ikon’s Slow Boat, Grand Union and Edible Eastside are some of the well-respected tenants of Warwick Bar, who have been working with Digbeth Residents Association to promote the event market the event. 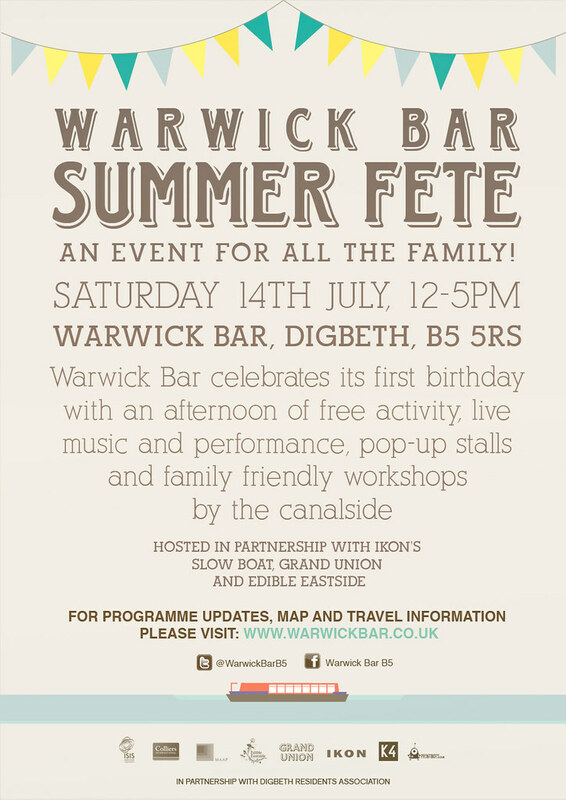 Click here to see the Warwick Bar Summer Fete Programme, along with a map and directions, or follow them on Twitter (hashtag #B5fete).